Bad debt expense is money that you are not able to collect from outstanding customer invoices. When an invoice is more than 90 days overdue businesses typically write it off as uncollectible bad debt. This will increase expenses on the profit and loss statement and decrease accounts receivable on the balance sheet by the same amount. 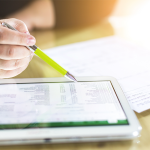 If you’re worried a customer’s invoice might result in a bad debt expense, you should use QuickBooks to help you stay on top of your accounts receivable balances. 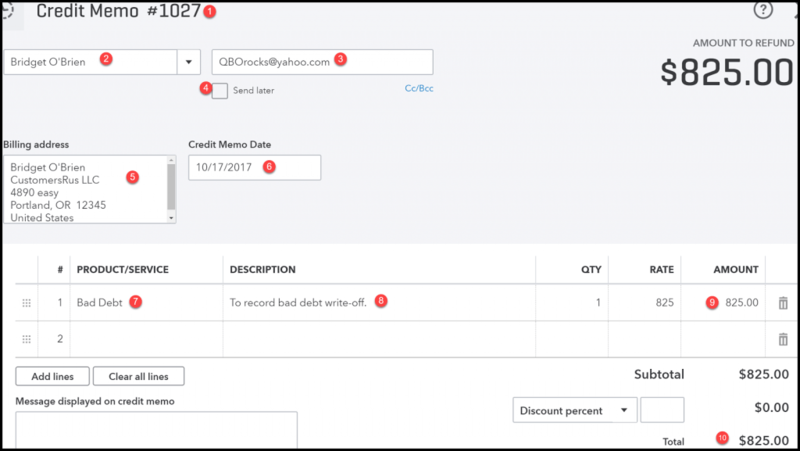 QuickBooks will alert you when a customer’s invoice is coming due so that you can proactively send a reminder to the customer. In addition, you can run an accounts receivable report as often as you like to stay on top of upcoming and overdue invoices. The amount of time that you allow customer invoices to remain unpaid before you write it off altogether is up to you. What’s most important is that you set payment terms that are in line with your industry, communicate these terms to customers who you extend credit to, and then follow-up to enforce them. Check out our article on the best invoice payment terms for best practices on setting payment terms. The reason why you might want to write-off an outstanding invoice or group of invoices as bad debt is that it gives you a more accurate picture of your financial health. For example, if you record $1,000 in accrued revenue that you never expect to collect, it’s important to write it off so you don’t overstate your revenue as well as your assets and any earnings that come from those assets. If you use the cash basis of accounting like most small business owners, then you don’t have to record bad debt expense because you only record revenue in the period when the cash is received rather than when it was earned. Check out cash vs. accrual method to learn more. When you decide to write off an outstanding invoice as bad debt, you need to record a bad debt expense and also adjust the accounts receivable balance so it reflects the actual amount “collectible” from customers. If not, your accounts receivables will be overstated. Below is a summary table of the accounts that are affected and the impact that they have on the balance sheet and profit and loss statements. Further down, we discuss the specific ways in which you can record a bad debt expense, both manually as well as with Quickbooks. You don’t need a crystal ball to know that a customer is not going to pay you. Here are a few glaring signs that you should watch out for. If you have customers that are showing these traits, it might be time to write off their invoice as bad debt. Your customer is avoiding your telephone calls. The customer makes no effort to contact you to make payment arrangements. The invoice has gone unpaid for 90 days or more. This sign alone does not indicate that your customer has no intention of paying, but if no contact has been made on top of this then most likely you are looking at a bad debt. The only way to completely avoid bad debt is to require all of your customers to pay for their purchases in full immediately. For most retail businesses like gas stations and coffee shops, this is the norm. However, for larger purchases with net terms, this is not very realistic. Other ways to reduce the chances of bad debt include offering early payment discounts or aggressively going after overdue payments. For tips on ways to improve creating, sending, and receiving payment on customer invoices, check out our small business invoicing guide. There are a couple of ways to record bad debt expense; you can record it by customer or use a percentage method. Most small businesses will use the “by customer” method while mid to large size businesses that consistently have bad debt expense will use the percentage method. We will discuss the by customer method first and then by percentage. Later on, we will show you how to record both of these on your books. Under this method, you identify the specific customers whose invoices are bad debts and record the unpaid amount for each customer as bad debt expense. In this scenario, you’ll record a bad debt expense on the income statement equal to the outstanding invoice amount. Then, you’ll reduce your accounts receivable by the same amount. Under the percentage method, you would look at your bad debt history and develop average percentages based on the bad debt experienced in the past. The percentage is multiplied by the total accounts receivable balance and recorded as bad debt expense each month, quarter, or year, depending on frequency. If you use an accounting software like QuickBooks, then follow the steps that we will cover next to record bad debt expense. However, if you use a spreadsheet or some other manual bookkeeping solution, you will need to record a journal entry. For those businesses using the percentage method, you should use the allowance for doubtful accounts instead of reducing accounts receivable to record the bad debt write-off. The Allowance for Doubtful Accounts will act as a contra-asset account to reduce the A/R balance on the Balance Sheet. By using the allowance for doubtful accounts, you can quickly see how much of the accounts receivable balance is deemed “uncollectible”. As we discussed previously, there are a couple of ways to record bad debt expense. If you use an accounting software program like QuickBooks, recording bad debt is a breeze! First, we will walk through the steps to record bad debt for a specific customer and then we will cover the percentage method. Before you can record bad debt, you must set up an expense account called “Bad Debt” on the chart of accounts. Check out the how to set up the chart of accounts video tutorial for step by step instructions on how to set up a new account & to learn more about the chart of accounts. The first step is to set up Bad Debt on the products and services list so that we can use it later on when we enter the credit memo in step 3. Follow the steps below to set up bad debt on the products and services list. Click on the Gear icon in the upper right corner and select Products and Services right below the Lists column as indicated in the screenshot below. Step 1.2 – Click on the New button. Click on the new button as indicated in the screenshot below. Complete each of the fields as indicated below. For more info on setting up new items and how they work, check out our video tutorial on how to set up products and services in QuickBooks Online. Item Type: Select Service as the item type. Item Description: Enter the name of the account in this field. If you have taxable items on the invoice, you will need to set up another item to correct the sales tax. The description should be “Bad Debt – Taxable”. Sales information: This checkmark should automatically populate in this field. Income account: From the drop-down, select the Bad Debt expense account that you set up. If you did not set the account up yet, do that and then return to this screen. 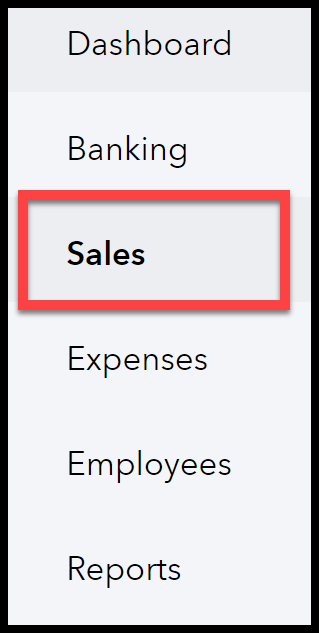 Click the “Save and close” button once you have completed the necessary fields. QuickBooks Online has a setting that you can turn on that will automatically apply credits to open customer invoices. To ensure that the credit memo we create is applied to the invoice that we want to write-off as bad debt, we must turn this feature off. Follow the steps below to turn off the auto apply credit memos feature. Click on the Gear icon in the upper right corner and select Account and Settings located right below the “Your Company” column. Step 2.2 – Navigate to Advanced Settings. Click on the Advanced tab located on the left-hand menu as indicated below. To learn more about the advanced settings in QuickBooks Online, check out our how to set up advanced settings video tutorial. In the upper right corner, you will see a pencil icon, click on that to turn this feature off. A credit memo is generally used to give a customer a refund or credit for products that were returned or services that were not rendered in full. Follow the steps below to create a credit memo in QuickBooks Online. From the left menu bar, click on the Sales tab as indicated below. From the New transaction menu, select Credit Memo as indicated below. Below is a snapshot of the credit memo along with a brief explanation of each field. Credit Memo #: This number is automatically generated by QuickBooks. Customer: From the drop-down, select the customer whose invoice you need to write off. Email Address: This info automatically populates from the customer contact details. To ensure that this credit memo is not emailed to the customer, you should delete this info. Send Later Checkbox: If you plan to send this credit memo to the customer to inform them of the write-off, you would leave this box checked. Note: Generally, this credit memo would be for your internal record keeping only. Billing Address: This info auto-populates from the contact details set up in QuickBooks. Credit Memo Date: Enter the date that you want the write-off to take effect. 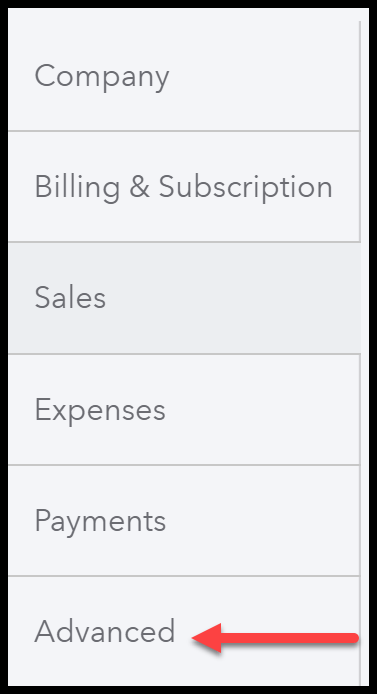 Product/Service: From the drop-down, select the Bad Debt expense item that we set up in step 1.3 (above). Description: You can enter a brief description here as we have done. Amount: Enter the amount of the invoice(s) that you plan to write-off. Ideally, you can use one credit memo to write-off multiple invoices for the same customer. However, I recommend that you include the include the invoice #’s in the description field above. Total: QuickBooks will automatically calculate the total amount of the credit memo. Follow the steps below to apply the credit memo to the invoice you wish to write-off. Click on the Quick Create (+) menu and select Receive payment located in the Customers column as indicated below. In the following screen, you must select the invoice that you want to write-off and the credit memo that you would like to apply to it. 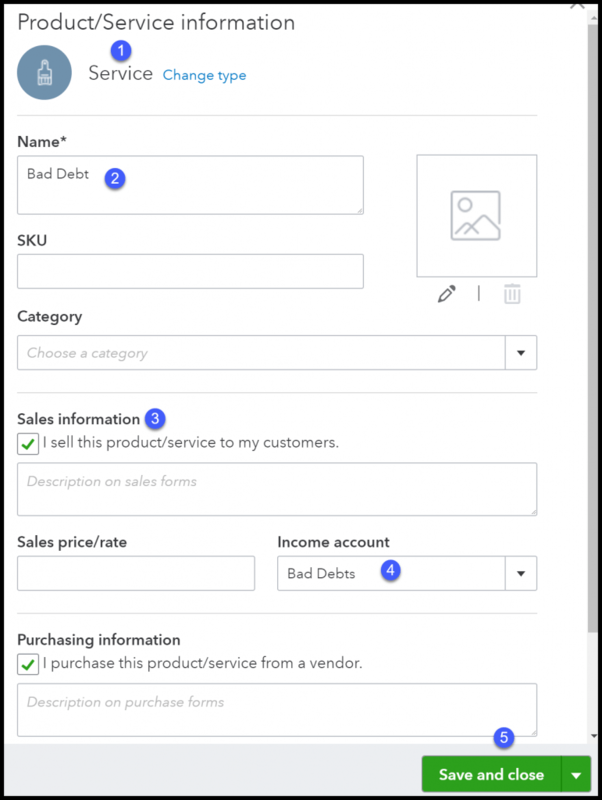 In this section, select the checkbox next to the invoice that you want to record as bad debt. 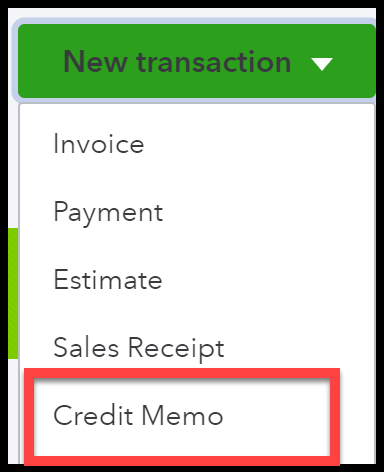 In this section, select the checkbox next to the credit memo that you want to apply to the invoice. The amount in these two boxes should equal as it does here. Based on your selections, Quickbooks calculates the total amount of the credit memo that you would like to apply. Click the “Clear Payment” button to complete the write-off. Behind the scenes, QuickBooks will record a journal entry to decrease your accounts receivable balance and increase your bad debt expense. We will discuss the impact this has on your financial statements in a bit. 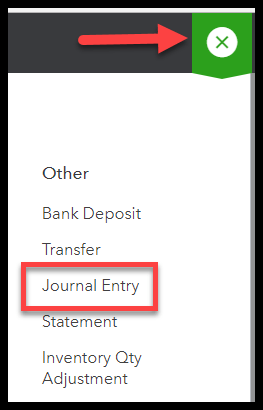 Follow the steps below to record a journal entry in QuickBooks. From the Quick Create (+) button, select Journal Entry in the Other column as indicated below. Complete all of the fields below with the details of the bad debt write-off. Journal date: Enter the effective date of the write-off. Journal no. : This number is automatically generated by QuickBooks. Account: From the drop-down, select the accounts from the chart of account list. Debits/credits: Enter the dollar amount to write-off in the appropriate column. Description: Enter any details regarding the write-off in this field. Bad debt is one of those topics that I think business owners should be aware of but try to avoid like the plague. To help minimize bad debt, review your accounts receivable report weekly & follow-up with customers often.